We have added support for embedding Microsoft PowerApps in Finance and Operations forms, which allows customers to use PowerApps to embed data from external sources into Finance and Operations. Users can pin PowerApps to forms, including workspaces, and share them with peers to augment system functionality. 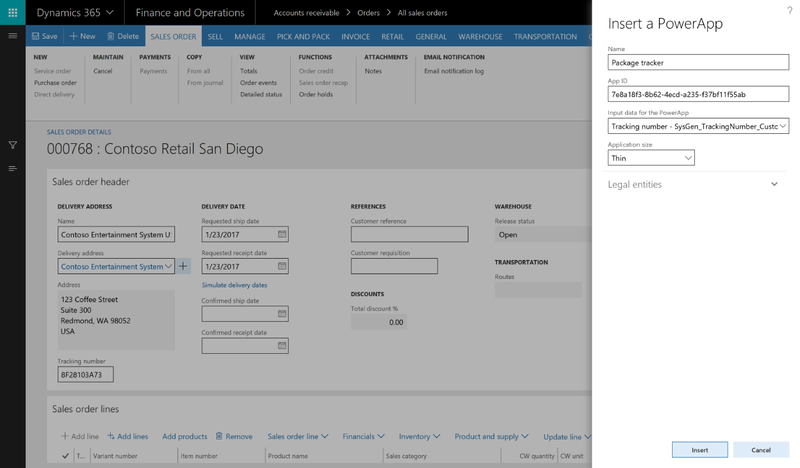 The following images show how easy it is to embed a PowerApp into a Finance and Operations form. 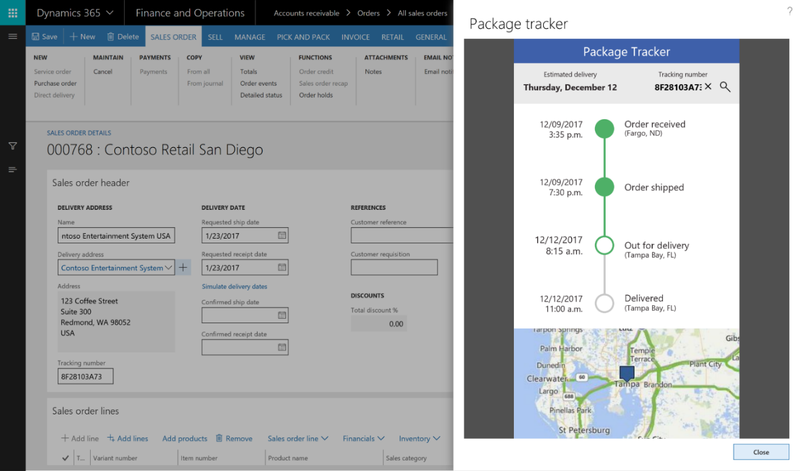 In this example, a sample PowerApp application called Package Tracker, built on data outside Finance and Operations, is added as an embedded experience. Open a form and, under the PowerApps button on the menu bar, select Insert a PowerApp. Configure the PowerApp you want to embed. Select Insert, and the selected PowerApp is available on the form. After users select Insert, their PowerApp is available on the form. In this example, a sample PowerApp application called Package Tracker, built on data outside Finance and Operations, is now enabled as an embedded experience. For more information, see Embed PowerApps apps or watch the short How to embed PowerApps in Dynamics 365 for Finance and Operations video.